I have had the honor to previously serve on The Placement Exchange (TPE) committee, and to lead the professional staff recruitment efforts at the University of South Florida (USF) for the past 3 years. While on the TPE committee and by leading the USF team, I have learned a few helpful tricks of the trade. Whether you are new to the game or a long-standing participant of TPE, adding new elements to our recruitment process can only help to make this your best recruitment of all time! Interview early and often: Whenever possible begin the interviewing process before you get to TPE. It is worth the effort to review the TPE site early for excellent candidates and reaching out to set up and conduct first-round 30 minute interviews prior to TPE. It is helpful to go through your HR candidates as well to make sure you did not miss anyone who will be present at TPE. Start strong: When possible, I advise organizations to try to have a mix of first-round 30 minute interviews and second-round 60 minutes interviews scheduled prior to arrival at TPE onsite. From personal experience, I have found that I can maximize the time and exposure of the Director to meet top candidates if there is a mix of first and second round interviews on the first day. Over-communicate: We love to talk about the value of communication, but many hiring processes fail because of the lack of communication. Develop a communication plan with your recruitment team regarding when you will let candidates know about their status. Candidates like communication, even if it means they are told they are out of the process. It is a professional best-practice and important to let people know where they are in your recruitment process. Develop onsite organizational strategies: The days at TPE will be long; time in between candidate interviews will not always give you the opportunity to organize your tables that hold files, schedules, office supplies, etc. If you have the ability to do this, designate someone to keep the space in order. If you do not have this luxury, plan ahead of time for methods to keep candidate files in order. Stay Hydrated and Fed: TPE is a marathon (a really amazing marathon), but you still need to make sure you schedule time for your team to rest, eat, get in steps, and hydrate. As you coordinate your candidate interviews, remember that if you are energized and nourished your candidates will get the best of you. This will also ensure your recruitment team is energized and ready to give their best. ALERT: For those of you who have been to TPE before, remember that this year onsite interviews begin on Wednesday night! Be sure to coordinate your arrival times for set up, in the event that you chose to interview candidates on Wednesday nightt. Stay tuned for more tips on preparing for TPE Onsite in Philadelphia, PA! 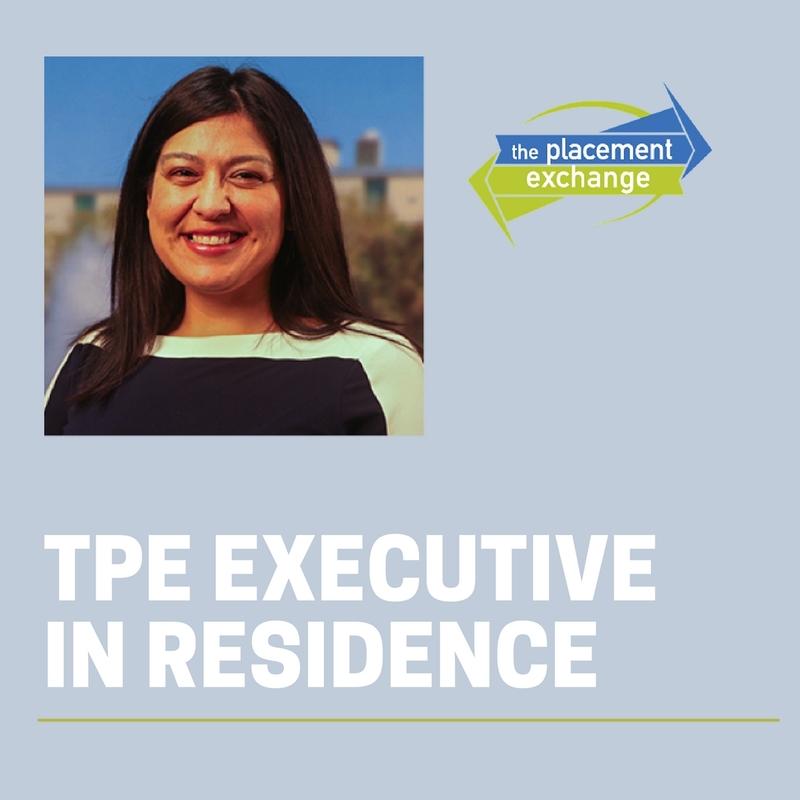 We are so happy you have chosen TPE as your Student Affairs Career Placement of Choice. Julie Leos currently serves as the Interim Director of Residential Education at the University of South Florida. Her experiences in housing & residence life, along with fraternity & sorority affairs, multicultural affairs, new student programs & orientation, and student affairs administration will offer a diverse perspective to our theme this month. Julie received her Bachelors and Masters degrees from Florida International University and is currently pursuing her Ph.D. at the University of South Florida.